A new cultural program launching in Melbourne this week seeks to raise awareness and celebrate one of architecture’s most derided and misunderstood movements - Brutalism. Running from May 6 – 29, Brutalist Block Party is a series of workshops, talks, dining events and social situations which seeks to activate a concrete-fronted warehouse located at 122 Roseneath Street, Clifton Hill. The event series is presented by Assemble Papers and Open House Melbourne, and includes a produce market, ping-pong, conceptual dining and architecture talks. The program unfurls amidst a specially commissioned spatial installation by Practise Studio Practise, dubbed Brutalist Bollards and Pillars of Contention. Urban Melbourne met with Rachel Elliot-Jones, Creative Producer of Assemble Papers and the Brutalist Block Party and Pino Demaio, Creative Director of Assemble, about Assemble's involvement in the 3 week event and the opportunity it presents for interim activation of the brustalist building on site at Roseneath Street prior to development. According to Rachel Elliot-Jones the overarching premise for the series of events was to provide as many different access points as possible so that it's not considered as an event exclusively targeted towards "archi-nerds." Speaking on behalf of archi-nerds the world over Rachel surmised that they would gladly flock to any program based around Brutalism so it's more about spreading the word to the uninitiated, rather than preaching to the converted. The diversity and accessibility of the various events was also a conscious and deliberate consideration when organising the program for the event series. Additionally the event series is viewed as a community activation project, something that's very relevant to the area and something that excites and invites people into the warehouse space, particularly those in the surrounding community. The event series has been considered as a site specific response to the concrete-fronted warehouse which currently occupies the site, celebrating the heritage but also involving facets of the community in the program with a number of contributors from within the City of Yarra or Clifton Hill community. We're very keen to celebrate this architectural style but we already appreciate Brutalism; aesthetically and from a social perspective. So it's about providing the opportunity for people who don't otherwise have an interest in architecture or Brutalism to experience it through music, performance, a dining series and throught the talks which will be very accessible as well. Both Pino and Rachel acknowledged that Brutalism tends to cop a bad rap particularly in the media, as well as the lack of Brutalist buildings on the Victorian Heritage Register. There are currently four on the register with a number of others being considered for inclusion with former Planning Minister Matthew Guy previously weighing in on the inclusion of the former Hoyts Cinema on Bourke Street and Total House car park on Russell Street, describing them as "ugly buildings." People use the term brutalist architecture to legitimise ugly buildings, but I don't think we should be saving ugly buildings in Melbourne. Love it or hate it Brutalism is generally considered in the context of form or aesthetic but there's also a social agenda affiliated with the movement that is sometimes forgotten, says Rachel. 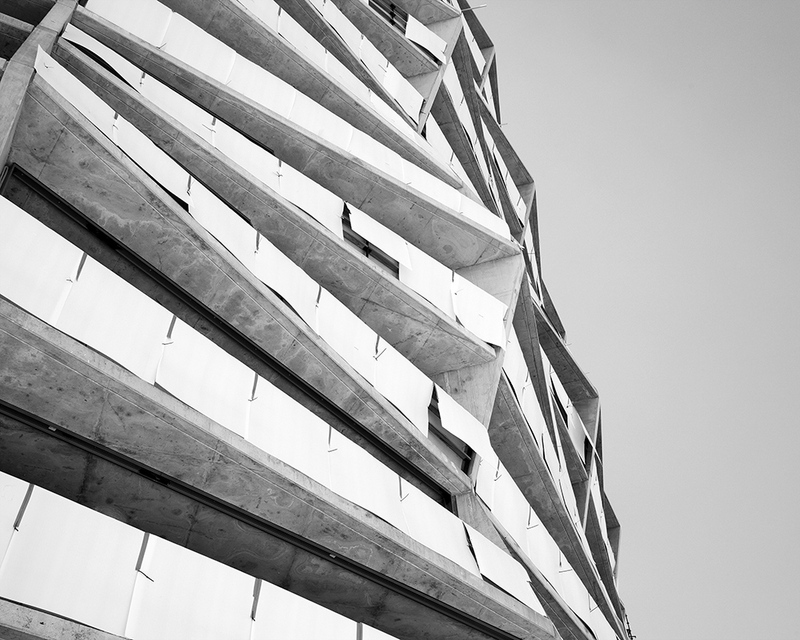 One of the talks during the series looks at a number of contemporary buildings which may be classified as new Brutalism, not necessarily in terms of their form or aesthetic relative to the style but rather from the positive social agendas they are promoting. This member of Urban Melbourne in particular is looking forward to Brutal Pong this Friday night and will be dressed in the appropriate attire - headbands and sweatbands to feature prominently. Hotel Hotel presents the sound of Brutalism. A very brutal beginning. Take up a paddle in the Brutal Pong tournament – presented by Archipong – with sound curation by much-loved Melbourne local record label institution Chapter Music. Tonight also marks the opening of The Brutalist Bar and the unveiling of Brutalist Bollards and Pillars of Contention. A rotating, mixed-bag market of local producers featuring everything from fresh bread and veggies to artisan gelato and honey from the hive. Come fill a basket and meet the people who make, bake and grow the best that Melbourne has to offer. 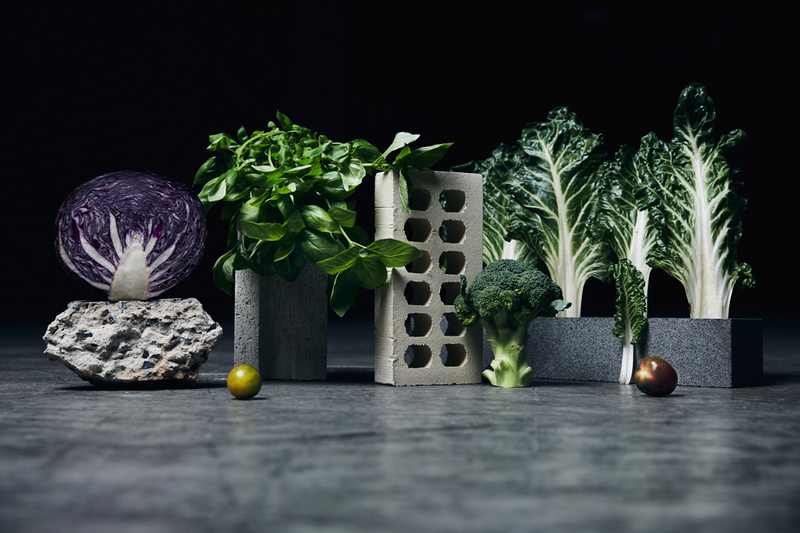 Build your own béton brut! Designer Beci Orpin will guide kids (big and small) in a collaborative city-building workshop using textures and materials inspired by Brutalist buildings. Otis. Brutal. is a series of conceptually concrete dining events built on the foundations of gratifying food, honest wine, moving music and evocative installations. The brutal basics of indoor plant happiness. Pop in to our Pop Plant-laden talks pavilion for a family-friendly how-to from PP co-founder Maxi Walker. Maxi will chat through a range of common house plants and give hot tips on their care, as well as taking you through some easy planting activities. Once you’ve got that down, he will help you make a mini polyfelt string garden creation. Jonathan Meades states that “Brutalism is the decor of dystopian films, literature and comics, just as gothic is for horror. Books and films have of course impinged on the way Brutalist buildings have been judged down the years, assisting in their condemnation.” Does Utopia even make a guest appearance? Hotel Hotel has commissioned two new works to be unveiled tonight. One for the eyes and one for the ears – a short film of Brutalist buildings, co-directed by Coco & Maximilian and U-P, and an accompanying sound piece by Speak Percussion that interprets them aurally. Together they work to observe and orchestrally arrange Brutalism. Emerging in the 1950s, New Brutalism offered affordable modern housing, improved community amenities and an honesty of material after a period of architectural frivolity. We take a look at contemporary Melbourne projects that could be classified as the New, New Brutalism: projects that progress positive social agendas. Wholey Day is a new market from the creators of Flour Market bake sale, bringing together 20 of the most exciting local vendors in whole foods, raw, vegan, organic and gluten-free produce. This is a place to explore the most creative and delicious interpretations of healthy living. Join Practise Studio Practise family Lauren Stephens, Laura Clauscen and Fred Mora in a Brutification workshop. Household objects will undergo a Brutalising assembly line, redefining them as objects of intrigue and desire. I've been informed that today's scheduled Produce Market will not be running.